Who will survive the war for universal peace? Mac Carter's life changed forever when he had to defeat evil on Earth. Now, he and his new-found friends are returning to Chasra to fulfill the prophecy that promises a millennium of universal peace. But peace cannot be achieved without war, and Mac finds himself preparing to conquer the malevolent forces of their number one enemy: Tral and its allies. 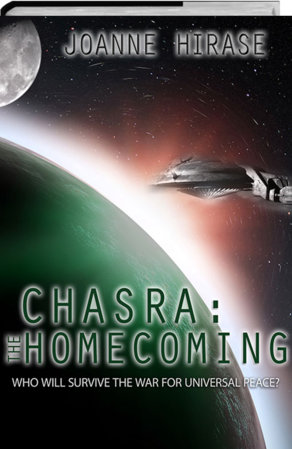 Confronted with powers and technology that are unknown to Chasra, along with internal conflict, Mac and the Great Council must learn to work together to win the war. Can they overcome their differences to outwit the Tralian forces and achieve universal peace?